About 80% of the world's population lives in areas where the fresh water supply is not secure, according to a new global analysis. Researchers compiled a composite index of "water threats" that includes issues such as scarcity and pollution. The most severe threat category encompasses 3.4 billion people. Writing in the journal Nature, they say that in western countries, conserving water for people through reservoirs and dams works for people, but not nature. They urge developing countries not to follow the same path. The analysis is a global snapshot, and the research team suggests more people are likely to encounter more severe stress on their water supply in the coming decades, as the climate changes and the human population continues to grow. They have taken data on a variety of different threats, used models of threats where data is scarce, and used expert assessment to combine the various individual threats into a composite index. "What we've done is to take a very dispassionate look at the facts on the ground - what is going on with respect to humanity's water security and what the infrastructure that's been thrown at this problem does to the natural world," said study leader Charles Vorosmarty from the City College of New York. " What we're able to outline is a planet-wide pattern of threat, despite the trillions of dollars worth of engineering palliatives that have totally reconfigured the threat landscape." Those "trillions of dollars" are represented by the dams, canals, aqueducts, and pipelines that have been used throughout the developed world to safeguard drinking water supplies. Their impact on the global picture is striking. However, when the impact of the infrastructure that distributes and conserves water is added in - the "managed" picture - most of the serious threat disappears from these regions. Africa, however, moves in the opposite direction. "The problem is, we know that a large proportion of the world's population cannot afford these investments," said Peter McIntyre from the University of Wisconsin, another of the researchers involved. "In fact we show them benefiting less than a billion people, so we're already excluding a large majority of the world's population," he told BBC News. According to this analysis, and others, the way water has been managed in the west has left a significant legacy of issues for nature. Whereas Western Europe and the US emerge from this analysis with good scores on water stress facing their citizens, wildlife there that depends on water is much less secure, it concludes. One concept advocated by development organisations nowadays is integrated water management, where the needs of all users are taken into account and where natural features are integrated with human engineering. One widely-cited example concerns the watersheds that supply New York, in the Catskill Mountains and elsewhere around the city. Water from these areas historically needed no filtering. That threatened to change in the 1990s, due to agricultural pollution and other issues. The city invested in a programme of land protection and conservation; this has maintained quality, and is calculated to have been cheaper than the alternative of building treatment works. Mark Smith, head of the water programme at the International Union for the Conservation of Nature (IUCN) who was not involved in the current study, said this sort of approach was beginning to take hold in the developing world, though "the concrete and steel model remains the default". "One example is the Barotse Floodplain in Zambia, where there was a proposal for draining the wetland and developing an irrigation scheme to replace the wetlands," he related. "Some analysis was then done that showed the economic benefits of the irrigation scheme would have been less than the benefits currently delivered by the wetland in terms of fisheries, agriculture around the flood plain, water supply, water quality and so on. 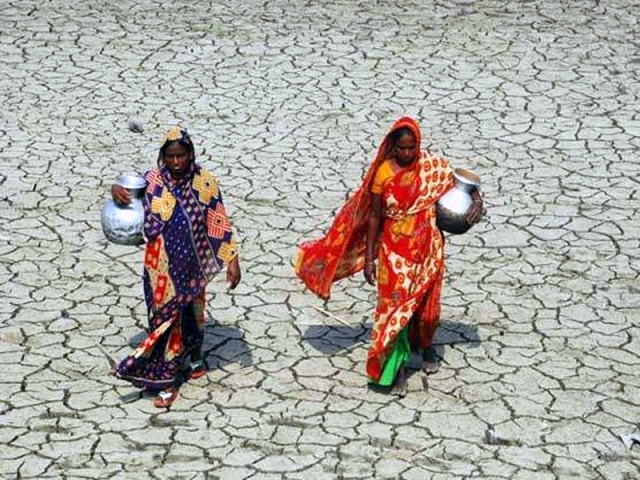 This analysis is likely to come in for some scrutiny, not least because it does contain an element of subjectivity in terms of how the various threats to water security are weighted and combined. Developing countries are urged to think carefully about "concrete and steel" solutions Nevertheless, Mark Smith hailed it as a "potentially powerful synthesis" of existing knowledge; while Gary Jones, chief executive of the eWater Co-operative Research Centre in Canberra, commented: "It's a very important and timely global analysis of the joint threats of declining water security for humans and biodiversity loss for rivers. "This study, for the first time, brings all our knowledge together under one global model of water security and aquatic biodiversity loss." For the team itself, it is a first attempt - a "placeholder", or baseline - and they anticipate improvements as more accurate data emerges, not least from regions such as Africa that are traditionally data-scarce. Already, they say, it provides a powerful indicator that governments and international institutions need to take water issues more seriously. For developed countries and the Bric group - Brazil, Russia, India and China - alone, "$800bn per year will be required by 2015 to cover investments in water infrastructure, a target likely to go unmet," they conclude. For poorer countries, the outlook is considerably more bleak, they say. "In reality this is a snapshot of the world about five or 10 years ago, because that's the data that's coming on line now," said Dr McIntyre.